I worked on this 5 min. craft YESTERDAY! 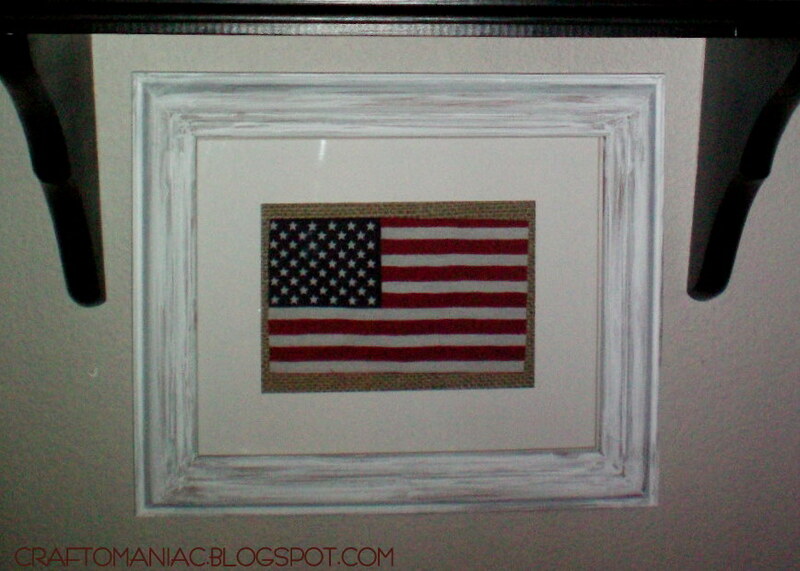 YOU WILL NEED: frame, white acrylic paint, brush/sponge brush, burlap, dollar flag. 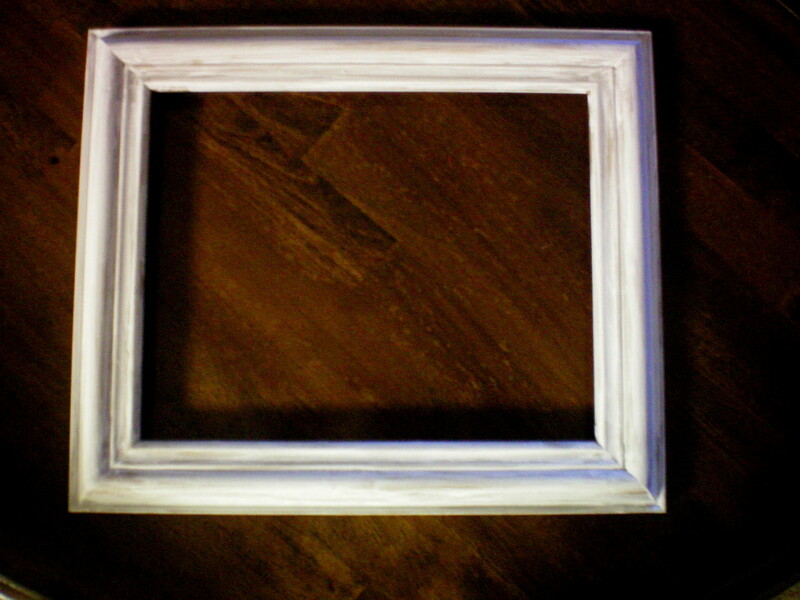 Frame AFTER~ I painted the frame with wicker white acrylic paint. I did a glaze and soft stroke paint job. 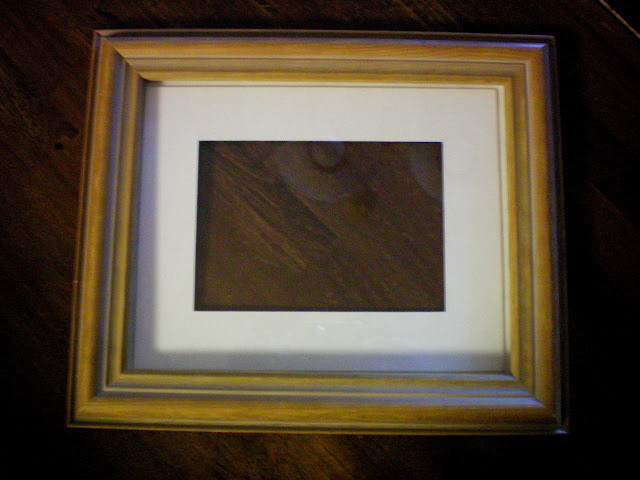 I didn’t fully paint it, because I wanted it to look a bit worn. here is the flag, that I simply pulled off the plastic stick…..
then i CUT THE stitching off around the edges of the flag, it looked cuter with out it. 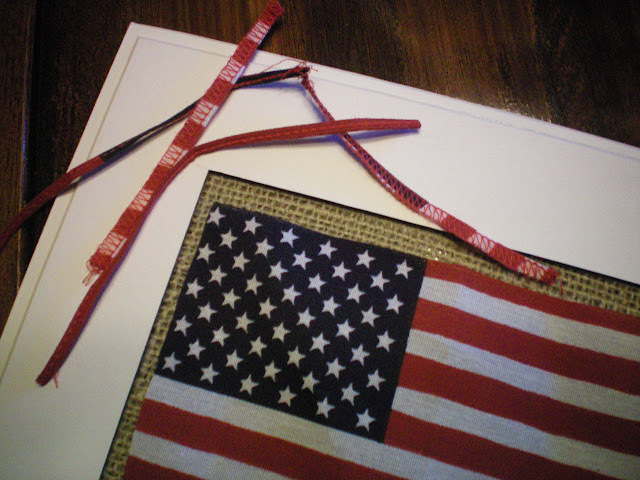 Then I cut burlap and laid the flag over the burlap, placed the matting inside the frame with the burlap and flag over it, and closed it all up. 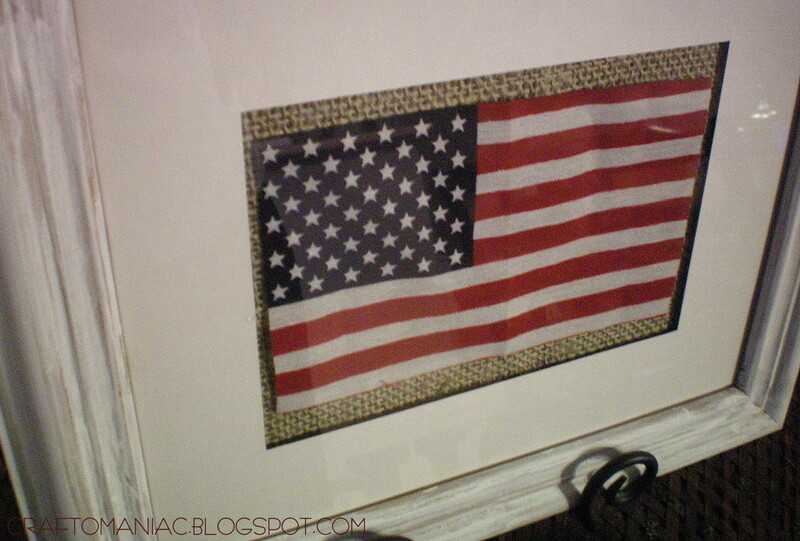 here is where I hung it, under my ” I heart America vignette” 😉 The wood block flag you see, I purchased the wood vinyl kit from a friend last year, then I painted it, sanded it, and added the vinyl. 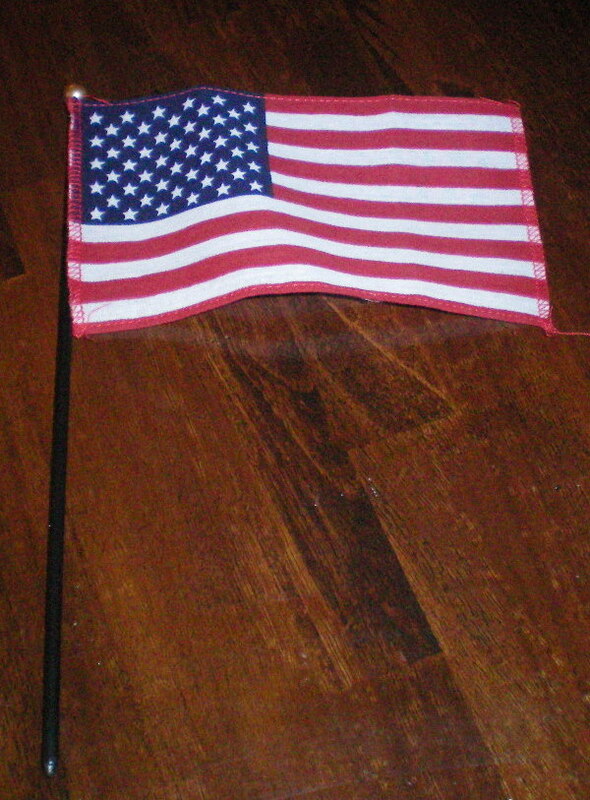 I love the wood flag. The berry wreath was purchased a year ago at a home decor store. I have linked up with Night Owl Crafting for Hoo’s got Talent HERE Creative Share blog hop at Trendy Treehouse HERE Somewhat Simple for Strut your stuff HERE Look at Me Party at Fun to Craft HERE and Show and Tell Friday at My Romantic Home HERE. Cuteness! I’ve also seen people tea stain he flag to look worn too! So cute. Ms. Clever! So patriotic! you never cease to amaze me:) love it!! 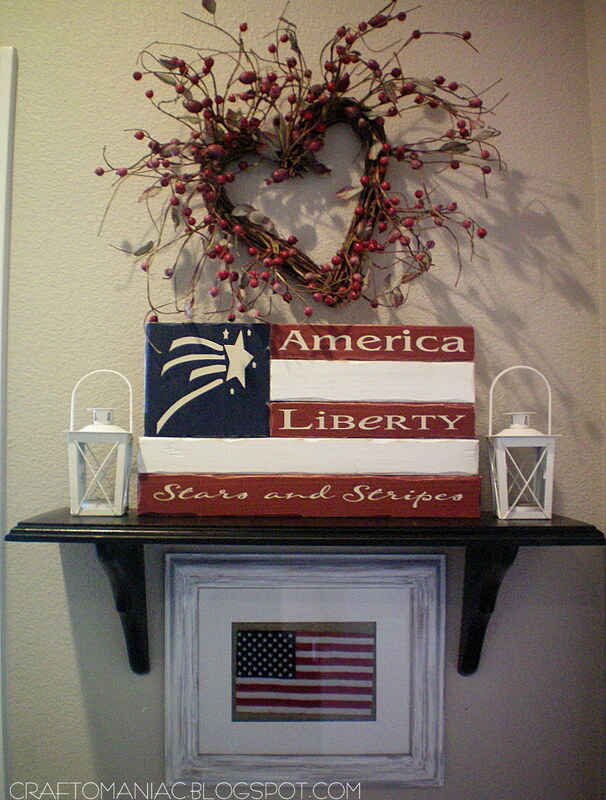 gave me a nice idea for some red white and blue to add to my home too!!! I love this! Thank you so much for sharing! 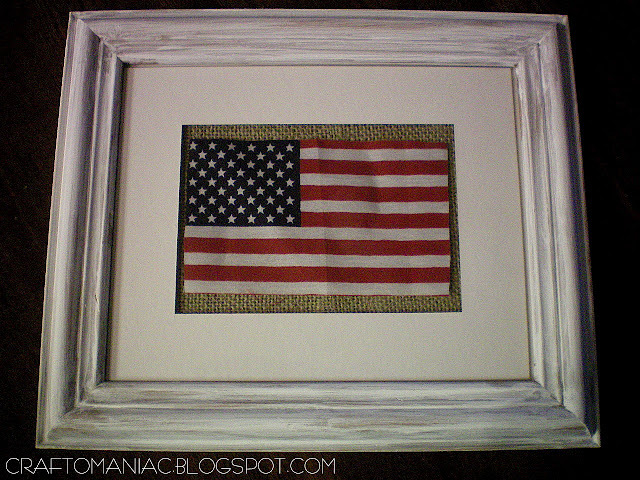 I love how patriotic and vintage this looks all wrapped up into one! I can’t wait to make one! I absolutely ADORE this! I never would’ve thought to frame a flag and the little ones are the perfect size! Great project! Thanks for sharing, it can’t get any easier than that! Great job! Such a great idea!! Love it!! Oh goodness! 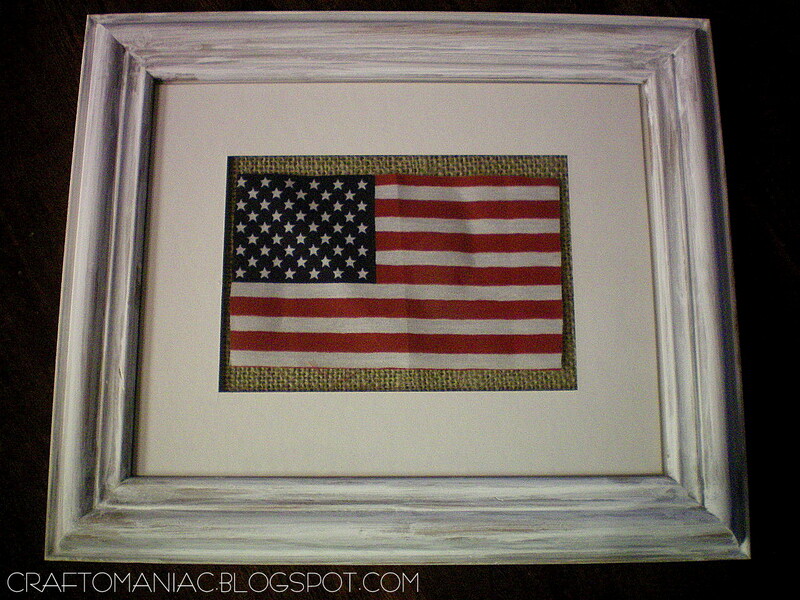 Simple, patriotic, and pretty all in one. I really like this! That looks really good. Love the frame with it. Come by my blog and win $50 gift certificate from CSN. I am definitely making one of these! How cute is that and perfect for the 4th of July! Thanks for linking up to Hoo’s got talent!